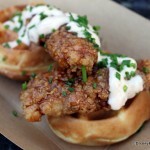 You’ve been watching us for months review the four new food trucks in Disney World’s Downtown Disney! Disney stormed onto the trendy food truck scene as part of Downtown Disney’s makeover into Disney Springs, bringing World Showcase of Flavors, featuring goodies from the Epcot Food and Wine Festival and Epcot Flower and Garden Festival; Superstar Catering, bringing eats from Disney’s Hollywood Studios; Namaste Café, showcasing treats from Animal Kingdom and Disney’s Animal Kingdom Lodge; and Fantasy Fare, a bright red delight bringing menu items from Disney’s Magic Kingdoms all over the world (including hand-dipped corn dogs from Disneyland)! 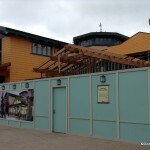 For the first few months, the trucks were found in various spots around Downtown Disney — and even in the Parks during particularly busy holiday periods. We haven’t been able to find a definitive schedule or location for them, in fact! But maybe that’s changing! We recently spotted this sign in Downtown Disney! Yep! Looks like the trucks may be finding a permanent home. 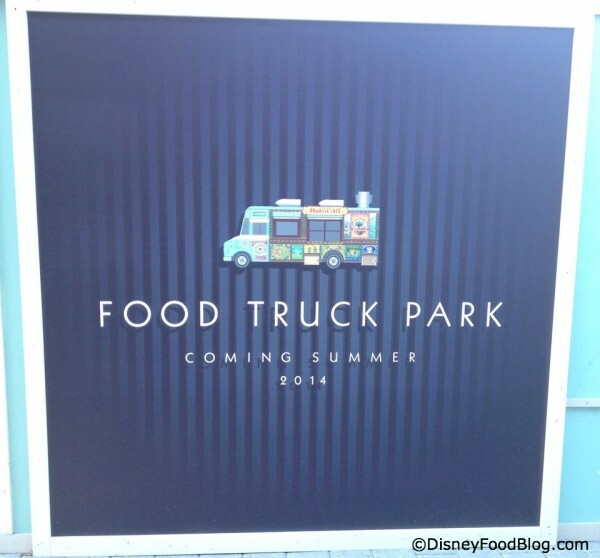 According to reader Dan K., there are several of the signs around Downtown Disney featuring different colors and different food trucks, so we’re still not 100% sure where the Truck Park will finally be situated. 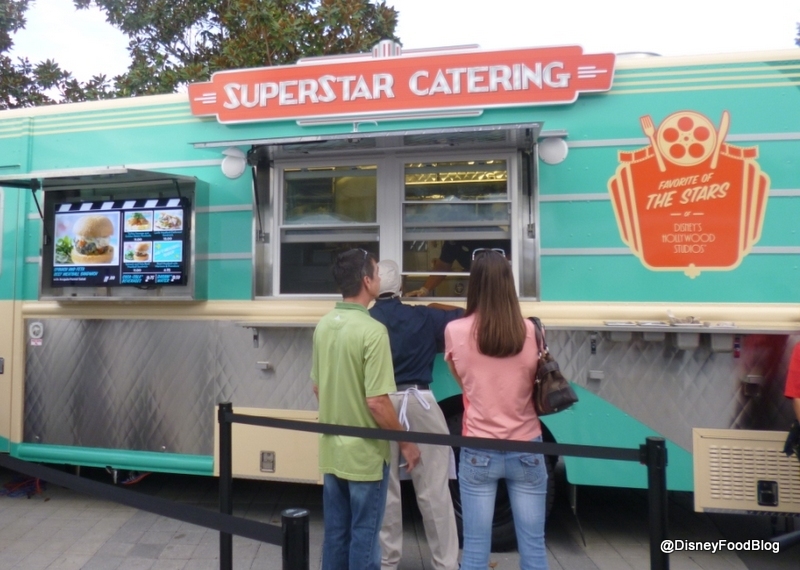 We’ll keep following the story for ya, but until this Summer, you can still find the trucks at Downtown Disney dishing up yummy eats on the go! 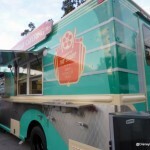 Which Disney Food Truck would you most like to try? Let us know in the comments below! 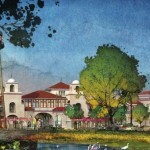 « Dining in Disneyland First Look: Starbucks Opens in Downtown Disney! I have to agree about the vegetarian options. In California that is one of the best things about food trucks always veggie options! I expected more. I really like how Disney regardless of park or resort, they have included gluten-free and vegetarian options. I feel I now have options without eating the same thing my entire vacation. Great variety and I also like the healthy options they are now offering. I’m a marathoner and during down times I enjoy visiting Disney parks for the exercise and “Happiest Place on Earth!” (I always leave with a smile on my face – coming and going). But yeah – super weird that none of the food trucks offer even one option, particularly the ‘Namaste’ one. I did get a glass of wine at one, but other than that – nothing. But I’m happy seeing these “Food Truck Park” teasers – makes me hope that more will be added, and with more options! It’d be great to see an area with 10-20 trucks. From what ive been told the place between bongo’s and the new starbucks on westside will be the truck “official” home but that it does not mean that they will be there all the time as they also support events at ESPN, marathons and anything else that they are asked to help out with. Being someone who spends a lot of time at DTD the truck hours do vary as they seem to still be finding the perfect time for the trucks. Talking with a cast member menus can change to include more options but that a lot of it has been out of their control since it is a new property. Fantasy Fare! I would love to try a hand dipped corn dog. Mmmmm mmmm! I agree that Disney is very accommodating to vegetarians. We are very looking forward to our dinner at V&A’s again this year. But, yes, as Jasmine pointed out, that makes it all the more strange that the food trucks are very lacking in this regard. I’m glad to see these truck popping up all over. 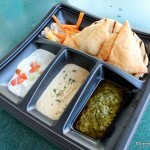 They add variety to the dining experience and often times offer original dishes that you can’t find elsewhere. Did this ever open? If so, where and what is their operation schedule?